HOTEL IS OPEN: All year round. 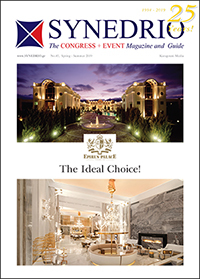 LOCATION: Epirus Palace Congress & Spa is a luxury 5* hotel in Epirus Region, just 10 minutes from the city of Ioannina and at a stone’s throw from Ionia and Egnatia Motorways, both major highways linking Ioannina with the rest of Greece and Europe. 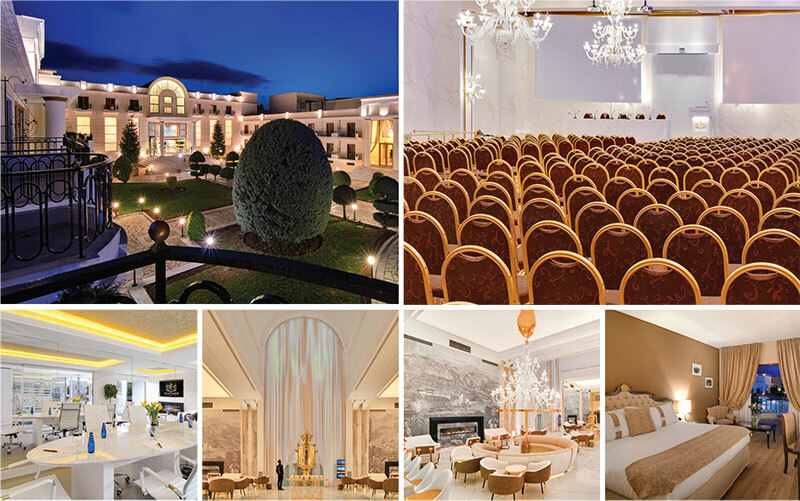 HOTEL IN FIGURES: A total area of 13 acres, 2 Buildings, 1 stylish Lobby, 200 Rooms & Suites, 350 Parking Spaces, 1 Outdoor Swimming Pool of 60 m3 [ The largest swimming pool in Epirus Region], 8 Conference Halls covering an area of 1.600 sq.m., 1 Restaurant [Summer 2019] , 1 Bistrot, 1 Indoor Bar, 1 Outdoor Pool Bar, 1 Spa, 1 Gym, 1 Play Room. 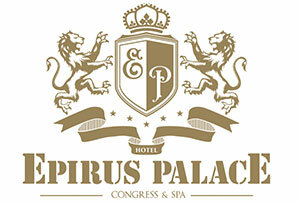 amenities, satellite TV, free fiber WiFi, safe box & a/c. your every need. 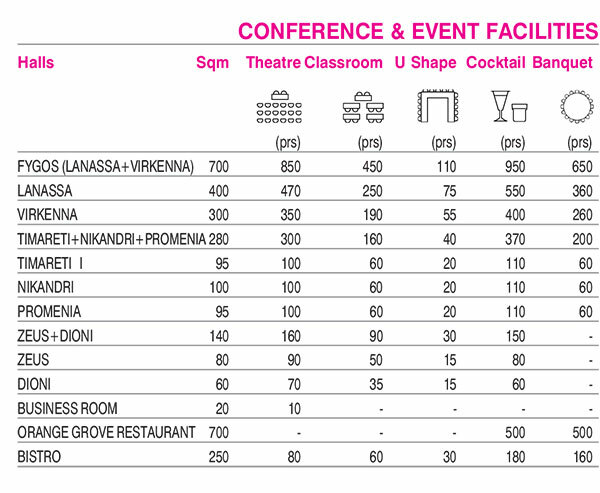 Ideal for successful conferences up to 850 people or Unforgettable Social gatherings. Summer by the remodeling pool bar and the surrounding area we will offer signature cocktails with the accompaniment of lounge music sounds. SPA CENTRE: Dodoni Spa is a special place for relaxation and wellness with unique architecture that perfectly combines the high aesthetics with the history of the place and the earthy colors with the wooden surfaces.